Rookie Cards featuring basketball’s brightest new stars are going to be the focus of Panini America‘s 2017-18 NBA Hoops Basketball and the latest installment of a hobby favorite is going to arrive this Wednesday at Sports Cards Plus. Now Only $74.95 per box. Limited quantities available at this LOW, Low, low PRICE. No other basketball brand today has the tradition behind it like NBA Hoops and it is loaded up with plenty of variety in every box. While there is bound to be HUGE demand and loads of excitement for the first mass-market cardboard of players like Lonzo Ball, Markelle Fultz, and Jayson Tatum. And, there is a lot more to enjoy as you rip open packs. 2017-18 NBA Hoops will have a large base set featuring a strong selection of players beyond those in a starting role. As mentioned above, there are tons of Rookie Cards in the mix; and, with a strong freshman class, some of them should heat up nicely in the early stages of the season. While sales literature for the Hobby boxes only offered up hints of three parallel versions for the base cards, this year’s design is going to look sharp with different borders. There are regular and black bordered Base Artist Proofs along with a Gold parallel. With each hobby box of 2017-18 NBA Hoops containing 24 inserts or parallels, there are a lot of options for collectors that want to try building a small themed set. Exclusive to this stream of packaging are insert collections called Team Leaders, Courtside, We Got Next, Special Delivery, and Back Stage Pass. For an even bigger challenge, each of these cards has an Artist Proof (/25) or Gold (/10) parallel to track down. Road To The Finals returns once again and this tiered collection serves as a cardboard document of the journey the Golden State Warriors and 15 other teams took in the quest for glory. Each of these cards is serial-numbered as well. 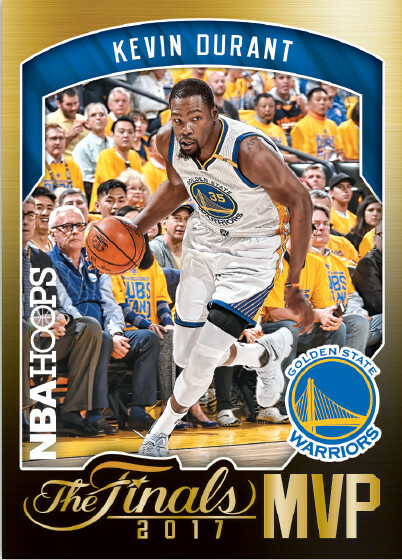 The set is rounded out with a Kevin Durant NBA Finals MVP card (/99), which is a challenging pull. 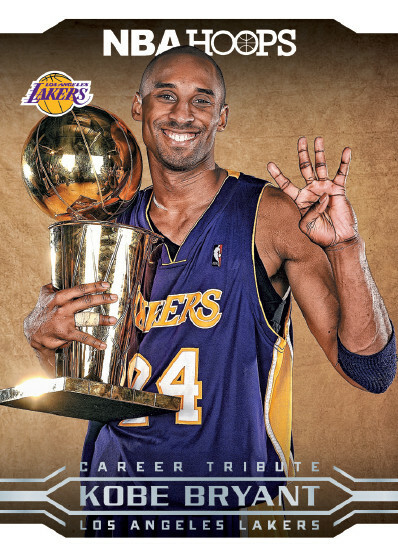 Another insert set that will get some attention from collectors is a 10-card Kobe Bryant Career Tribute that examines the future Hall of Famer’s career. Also keep an eye open for Shaquille O’Neal 2K Sports inserts. 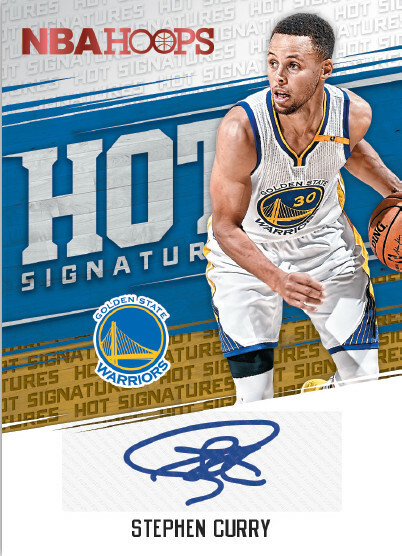 Hobby boxes of 2017-18 NBA Hoops are going to contain two autograph cards on average and the theme remains constant from previous releases with Hot Signatures and Hot Signatures Rookies. Both sets have a Red Hot version once again and they are numbered to 25. 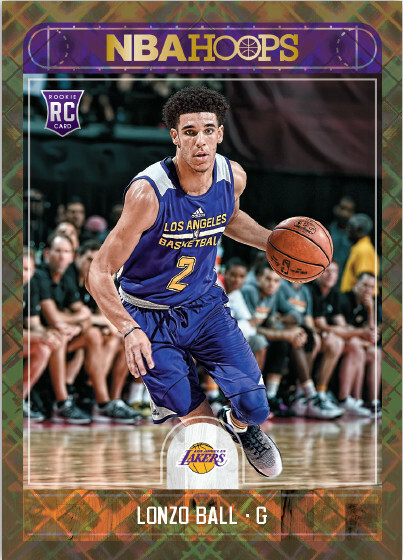 The only memorabilia cards in Hoops are once again Rise N Shine, which tend to focus on the incoming rookie class (with a Prime version /25), but there is something called Rookie Remembrance Prime (/25) which could focus on the debut seasons of veteran players.